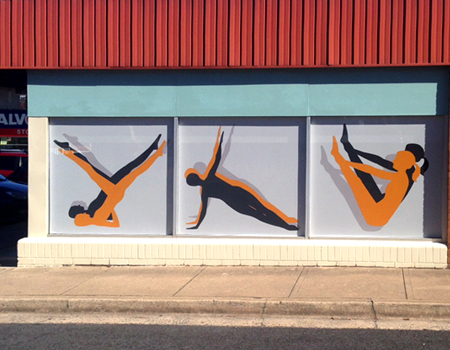 Wild Digital - One Way Vision - printed window graphics. Printed One Way Vision window graphics. 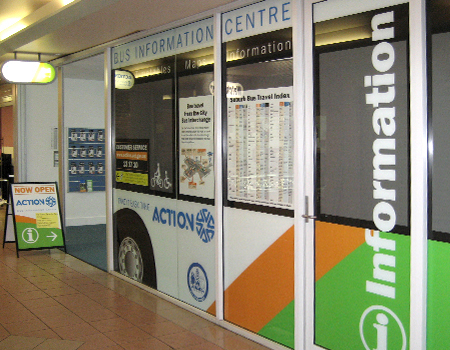 One Way Vision mesh is a self adhesive vinyl with multiple tiny holes that can be digitally printed. 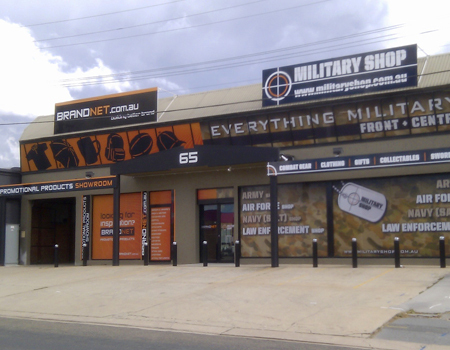 From the outside you can only see the printed image, from the inside you can see through the material giving you all the privacy you need plus the security of being able to observe the activity outside your premises. Show windows can now be used for marketing purposes without blocking your view. Great for street appeals and brand recognition. One Way Vision is ideal for using on east or west facing windows to reduce sun glare without blocking the ambient light or your external view. Installation available, please contact us for a quote. Opacity: Transparent from the inside, Opaque from the outside.